I’m happy to announce that we finally made it to the Bay Area on Christmas Eve! It was a mad dash to the finish line as we grossly underestimated how much crap we had accumulated over the years of living in our apartment. The last room to be packed of course was the kitchen. The stand mixer, Le Creuset, and food processor stayed out until the bitter end, because packing them away in boxes made the move feel all too real. I dutifully packed up all of my clothes with little hesitation or thought, but when it came time to pack away my cookbooks, sh*t suddenly got real. Every time I placed a book into the box, I felt a pang of sadness as if I were personally breaking up with Alice Waters, Thomas Keller, and David Chang. I am definitely going to miss Seattle. Over the past eight years, I attended one of the best schools in the country (Go Huskies!! ), met some of my closest friends, had a successful five year run at an outstanding company, and found the person who makes me laugh harder than anyone I know–my boyfriend. I’ve always had an interest in cooking and food, but it wasn’t until I moved to Seattle that I realized it was actually a passion. I experimented endlessly in various apartment kitchens across the city and learned from trial and error. It was in Seattle where I went through my cheese making phase, my pickling phase, and my (short lived) homemade bagel phase. I also learned how to truly enjoy the act of eating. It sounds silly, but I finally stopped worrying about calories and just savored food for what it was. This made dining out a much more enjoyable experience. Seattle has a lot of amazing food that I am really going to miss. I know exactly where to go when I am craving salted mackerel (Miyabi), oysters (The Walrus & The Carpenter) or a fresh old-fashioned doughnut (Top Pot). On our last night in Seattle, we went to a restaurant called Spinasse with our favorite couple friends, Rebecca and Jason. Spinasse is known for their hand-cut egg pasta, which is truly magical. Rebecca appropriately calls them crack noodles. The restaurant is truly testament to how good simple food can taste. All the times I’ve gone to Spinasse, I’ve always ordered the same exact thing: butter and sage pasta and a side order of carrots. Their delicate noodles are finely cut and highlighted, not overpowered, by a light butter sauce flecked with sage. Meanwhile, the rich, buttery whole carrots are perfectly roasted with a hint of acid to offset the sweetness. And I will stop with the descriptions because I am almost in tears thinking about how far away Spinasse is now. Needless to say, this is the perfect meal in my opinion. I have been trying to recreate Spinasse carrots at home for a very long time. I’ve tried various combinations of olive oil, butter, lemon juice, and vinegar achieve the right flavor. After much trial and error, I’ve concluded that this is a near impossible feat–they must use some kind of magic ingredient hidden away in a safe somewhere. But in my efforts to crack the code, I’ve actually managed to create a version of the dish that encompasses all of the flavors I love at Spinasse, just in a different way. 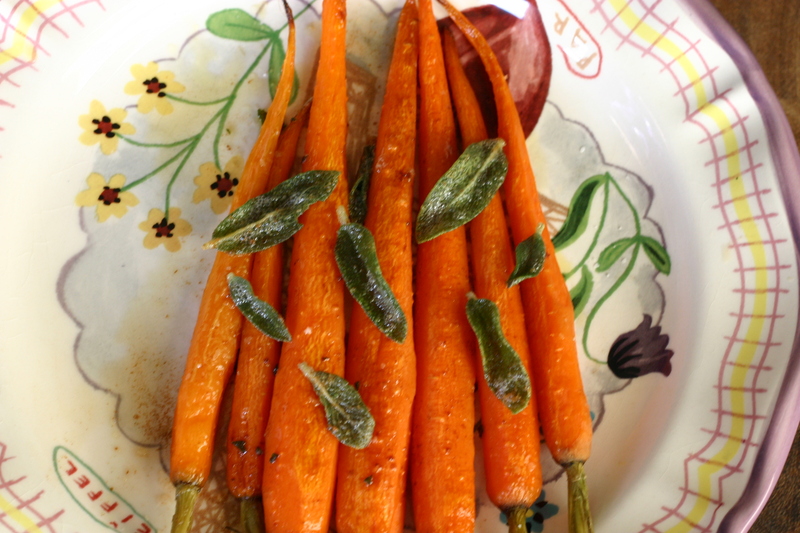 My carrots are roasted in the oven with a little bit of olive oil, salt, and red wine vinegar, then topped with browned butter and crispy sage. The trick to this dish is using the freshest carrots you can find–preferably from a CSA box, farmers market, or organic grocery store. 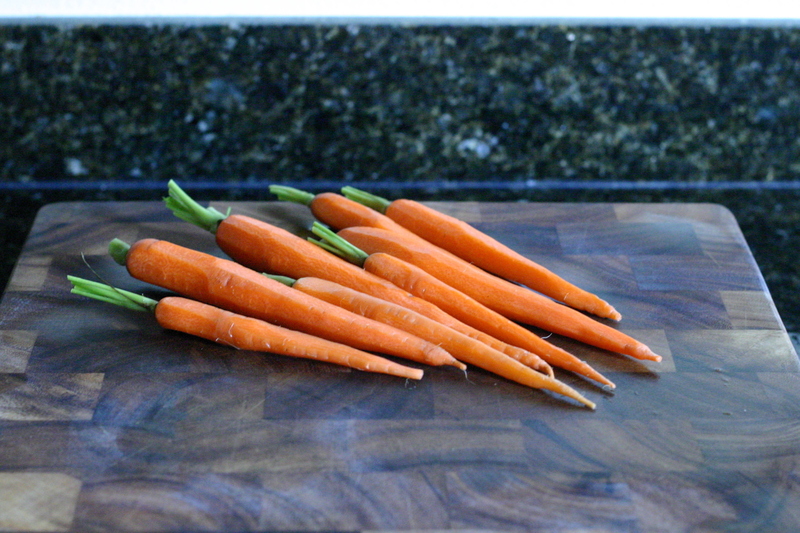 Go for the smaller skinnier carrots over the big chunky ones, because they generally have the best flavor. I like to buy top on carrots because I like the rustic look of them. But this is a preference thing really. For a lighter side dish, these carrots taste great even without the brown butter and sage. Spinasse is one of the many things I’ll miss about Seattle. Over time, I know I’ll gradually develop my repertoire of go-to restaurants in San Francisco. I’ll discover the places that serve the most authentic cioppino, the freshest sushi, and the most creative desserts in town. But it’s comforting to know that I have a dish in my back pocket that will always bring back memories of great food and great times in a great city. Preheat oven to 400°F. Toss carrots with a generous pinch of salt, a splash of red wine vinegar, and just enough olive oil to lightly coat the carrots. 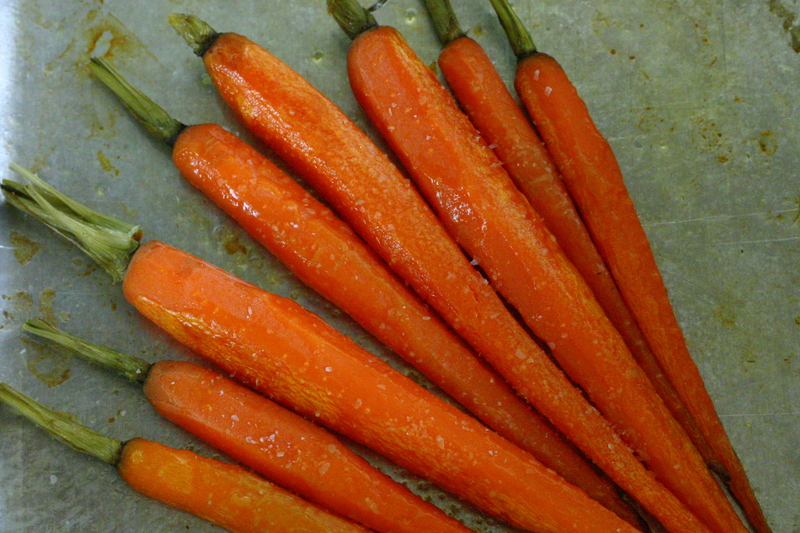 Place carrots in a pan or oven safe dish and cover with tin foil. Cook for about 30 to 40 minutes, until the carrots are just tender. Remove the foil and cook for 10 more minutes to lightly caramelize the carrots. Remove from oven and set aside. 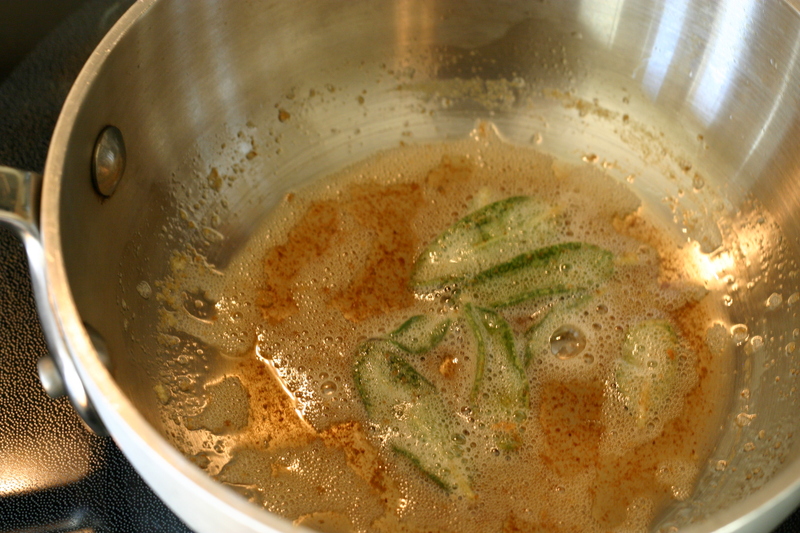 In a small saucepan melt the butter over medium heat. When the butter starts to foam, add the sage. Cook until the sage is crispy and the sauce is flecked with light brown particles. 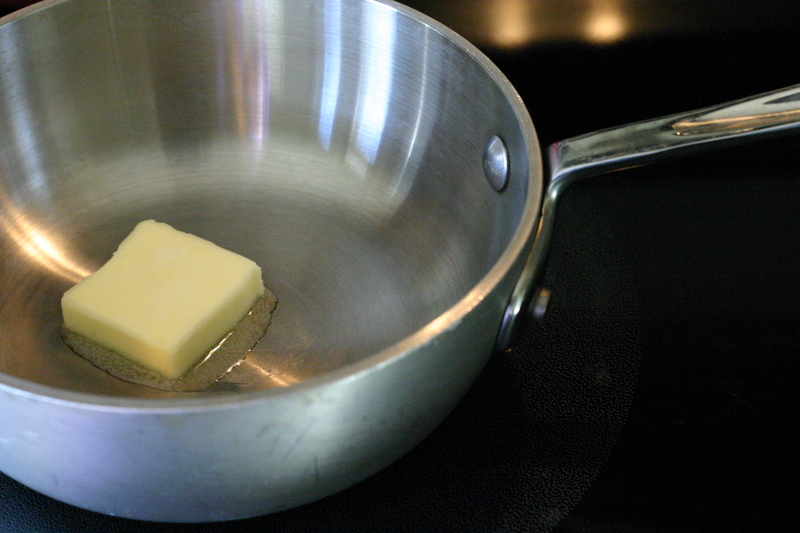 Take the pan off the heat and season with salt if using unsalted butter. 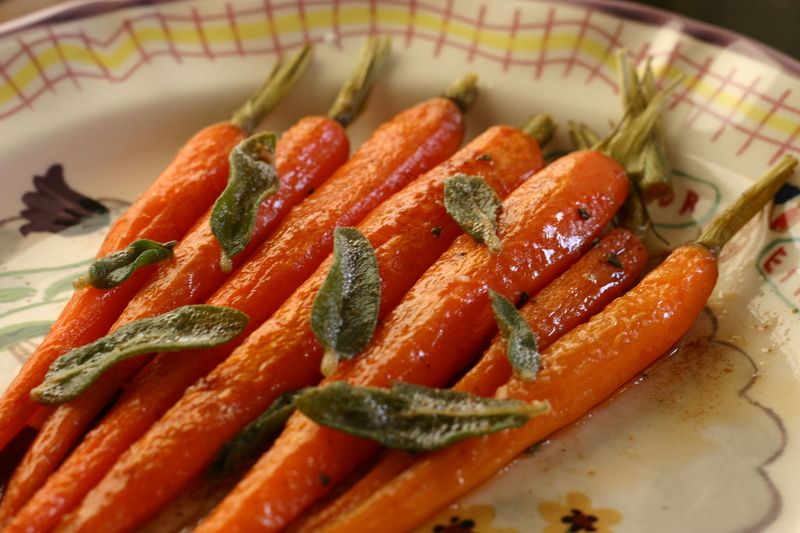 Arrange carrots on a serving dish and drizzle with brown butter sauce. Top with the crispy sage.